(1) Many self-stylized good government types on the Left, including a good number of journalists, already dislike Hillary. A major contingent within the Democratic base is just itching for an Obamaesque, Liz Warren-like figure to emerge -- and they'd bolt in a heartbeat. "Ready for Hillary" is not a universal sentiment on the Left. This email story is ammo for them, confirming their worst suspicions about Clintonworld. (2) Coupled with the other current -- and more potent, I think -- Hillary scandal, average Americans are being reminded of the ugliness that has followed the Clintons throughout their decades of public life. If the electorate is in a mood to turn the page and elect someone fresh and untainted by seemingly ancient political baggage in 2016, every negative headline and unseemly revelation draws some blood. These things build. What voters have been hearing for two weeks is that (a) the Clintons' organization accepted big, often unvetted, gifts from foreign governments during her time as Secretary of State (and again, as her campaign ramps up) -- raising conflict of interest concerns and reminders that Hillary is uber-wealthy practitioner of cronyism and corporatism -- and (b), that she deliberately skirted transparency laws by conducting government business through an extraordinary private email system, the entire purpose of which was to avoid legitimate oversight and scrutiny. One of her justifications for her actions has already begun to crumble. Some experts say her gerry-rigged system maximizes her ability to slow-walk domestic investigations into her official conduct, while also opening up significant security vulnerabilities. Her political ambitions are safe. Her sensitive correspondence as the nation's top diplomat, not so much. Pile these two problems atop her widely-ridiculed "dead broke" bumbling from last year, and some of her biggest forays back into the public realm have been marred by self-inflicted wounds and unforced errors. (3) One of the bases for Hillary's inevitable presidential run will be her experience at the State Department. Previously, the knocks on her record were that she didn't accomplish much beyond racking up miles on the jet, and, of course, the Benghazi massacre. As the Clinton/Obama foreign policy continues to unravel across the globe -- in Russia, in Libya, in Yemen, in Iraq and Syria, etc. -- Hillary looks more and more like a central player in a parade of dangerous, costly failures that have diminished America's standing in the world, and have made America less secure. 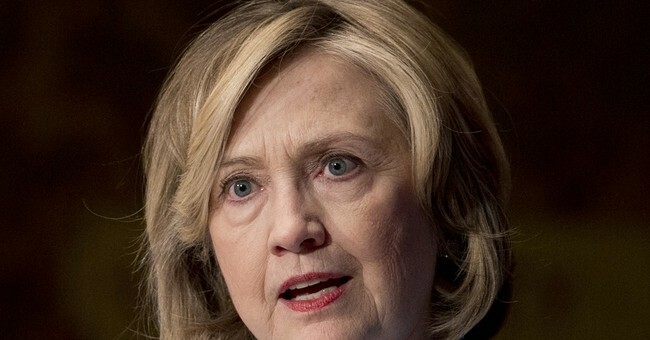 Now there are two new, serious broadsides against her record as Secretary of State: She intentionally violated email archiving rules to ensure that she couldn't be held accountable for her work on behalf of the American people, and her foundation vacuumed up foreign money from nations that were lobbying her in her formal, powerful role at State. The Wall Street Journal has already established that domestic donors to the Clintons often seemed to enjoy preferential treatment from Hillary's State Department -- wouldn't the same follow for, say, Middle Eastern regimes? Adding to the stench is the State Department's initial attempt to lie about the ethics safeguards (not) employed to vet these foreign contributions. Oh, and by the way, the email scandal was uncovered by Congress' special committee on Benghazi, which has now gathered even more proof that the White House didn't (and couldn't have) turned over "all" Benghazi-related emails, as claimed. Hillary's simply weren't available, because she chose not to use a (required) official government email account. Drip, drip, drip.